The Mission Hospital, Durgapur (A Unit Of Durgapur Medical Centre Pvt. Ltd.) is a 350 bedded, state-of-the-art super speciality hospital, with cutting edge technology. 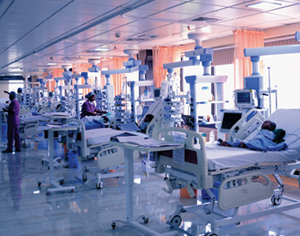 Built in an area spanning three acres it offers an array of facilities- digital flat panel cath lab (Philips FD 10c), seven major operation theatres with laminar airflow and HEPA filters, 100 bedded critical care unit, dedicated mother and child care unit, 24 hour accident and emergency department, blood bank and for the first time, a fully computerized pneumatic chute system(Sumetzberger, Germany). The Mission Hospital started its operation on April 02, 2008.This is the first super speciality corporate hospital in Eastern India outside Kolkata. The hospital has taken an initiative to amalgamate and integrate the best in healthcare be it manpower or technology.It has been set up with the vision of providing quality healthcare at affordable cost and within the reach of every individual. The hospital has been able to establish its presence in Eastern India and its neighboring areas through its patient centric and high quality care. To provide this service as close to the patient as possible, in a well managed and appropriate environment. Ensure high quality care/service is provided. Ensure that decisions regarding delivery of care/service are patient focussed and evidence based. Support and invest in education and training, thereby promoting the continuous development of the workforce in order to maximise the potential of staff at all levels. 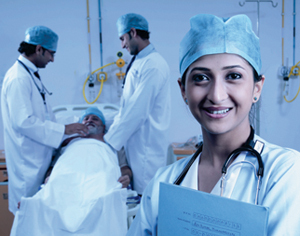 We deliver patient care of the highest order at the most affordable rates without compromising on quality. Our focus is always on ethical and service-oriented growth.